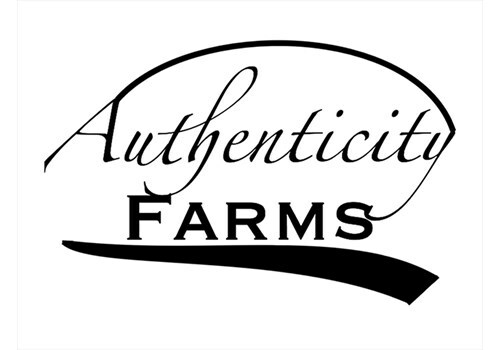 New to Authenticity Farms? Here's what we're all about. We provide families across Virginia with reliable access to tasty, healthy, naturally raised foods. Maintaining a consistent commitment to sustainable agriculture and humane farming practices. Partnering with you to build a health environment, both locally and globally. Provide access to nourishing and life-giving local foods for every family and restaurant. Raise animals in a healthy, humane way that allows them to have the best life possible. Train and equip the next generation of farmers through on farm education and learning opportunities. Here at Authenticity Farms we are committed to only giving the highest quality products. We give all of our animals an abundant grass based diet, only feeding grains to animals that are created to consume them and only feeding local, GMO-Free grains when we do. We never use pesticides, antibiotics, or hormones. Our animals are kept healthy by their exceptional diet and environment. In return they give us the healthiest, tastiest products. Authenticity Farms started in 2016 when, after years of wanting to reach restaurants with natural foods, we got an opportunity to do just that. At the time I was working for my parents at the farm we started when I was younger. With a background in multi-species holistic farming I had always wanted to partner with restaurants to offer the same life-giving products to restaurant goers we had always offered to our customers. With the help of the nearby Amish community, we started delivering to restaurants and it was a big hit. Soon we had to increase our flocks to accommodate the demand. Committed to reaching everyone with natural foods we continue to offer our same natural products to families throughout Virginia while also providing some of Richmonds finest restaurants. We thank you for being part of the story by supporting our farm. 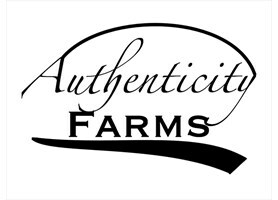 Thank you for visiting the Authenticity Farms shopping cart where you can purchase local, grass-fed, pasture-raised, GMO-free meats and dairy products. We deliver our products weekly and free of charge to pickup locations all throughout Virginia. You'll need to sign up the first time you place an order. The system will remember you from then on. Check out the page called "Pickup Locations" to know where and when products are delivered, then click on the one of your choice when placing your order. Products are placed in a refrigerator - NOT FREEZER- and will begin thawing. Please plan accordingly. Note: Once an item has been delivered, it is out of our control what happens to it. The best way to ensure that you obtain your item is to pick it up when it is delivered. We cannot issue a refund for missing items. Our family looks forward to being of service to you!